It’s been a while since we finished the Block a Week CAL 2014. Almost a year, in fact! When I was taking some photos the other day, I realized that I never did a post about my finished blanket. 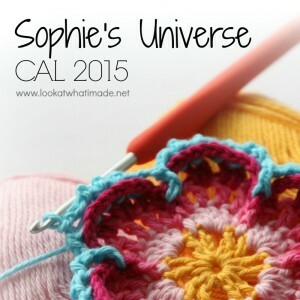 The only excuse I can offer you is that I got hopelessly caught up in Sophie’s Universe and various other fun (and not-so-fun) endeavours. 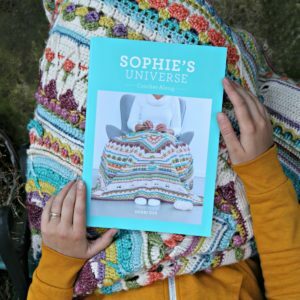 Now that Sophie is well and truly over, and I have had some time to catch up on things, I would like to show you how my blanket turned out. 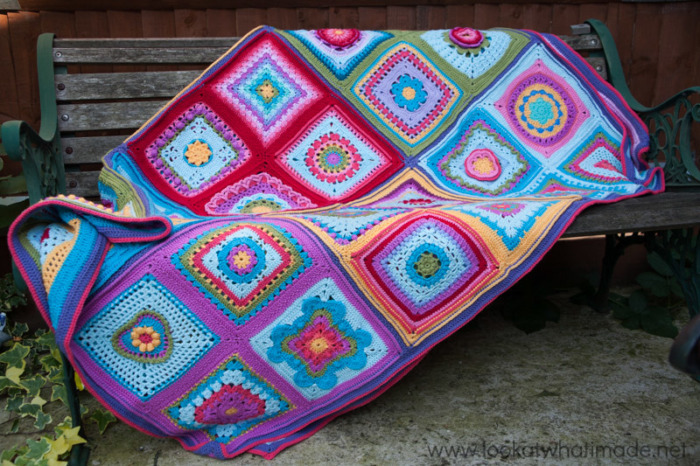 It was made using Stylecraft Special Dk (available HERE from Daramores), and as you can see, it’s a colour explosion! 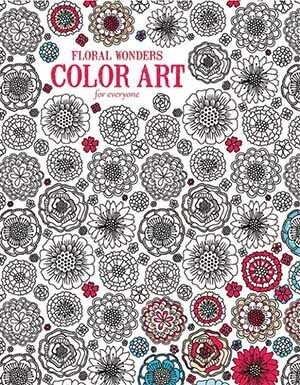 Chris Simon’s Lace Petals Square (pictured above) remains my favourite (for nostalgic reasons). Partly because I made it when we were visiting family in South Africa for my sister’s wedding, and partly because it was the square that inspired Sophie. 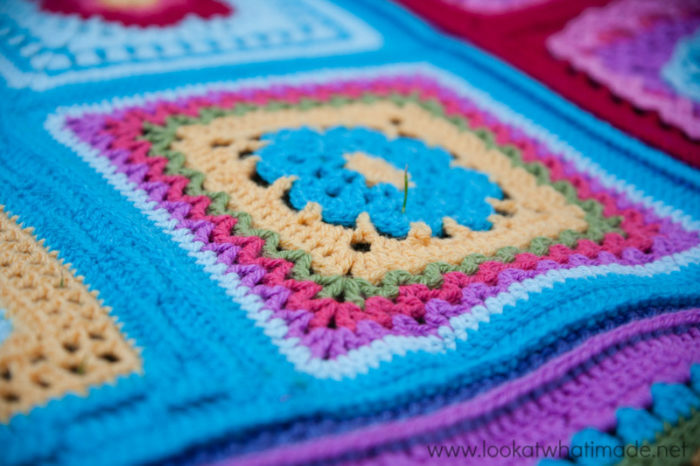 This blanket has so much texture and detail! 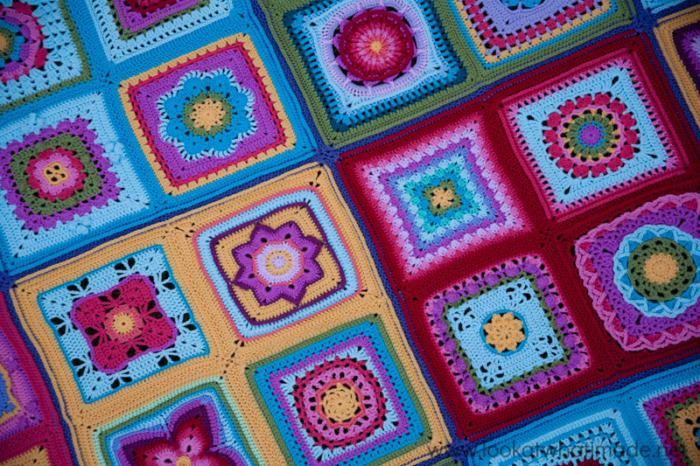 The blanket consists of 48 squares. 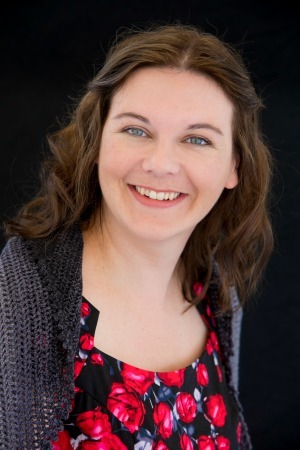 The mastermind behind the selection of the squares is Kimberly Slifer from Just a Girl and a Hook. I think she did an amazing job choosing the squares and will forever be grateful to her for enabling me to complete my first ‘proper’ afghan. Those of you who followed the CAL might remember that I attached my squares in groups of four, called Foursquares. I attached the Foursquares to each other using the (Sc, ch 1, skip 1) Join my granny taught me. For the border I did one round of double crochet and one round of singe crochet in Violet. I finished it all off with a round of back post half-double crochet in Pomegranate. 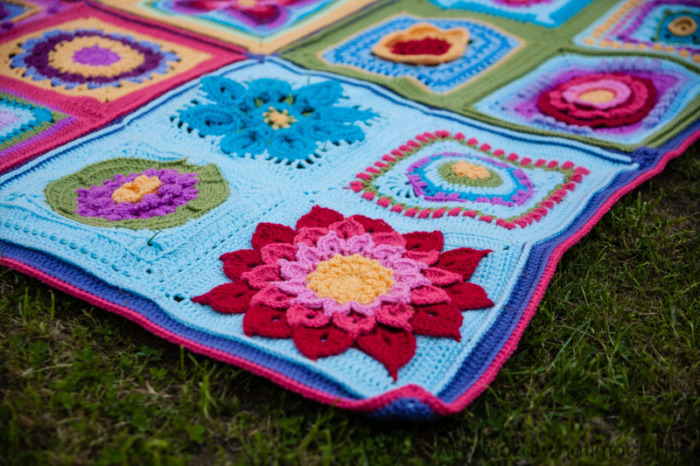 I really wanted to use Betty’s Beautiful Border, but in the end I decided that I wanted something simple to offset the (many) colours and patterns in the actual blanket. I’m quite pleased with how it turned out. 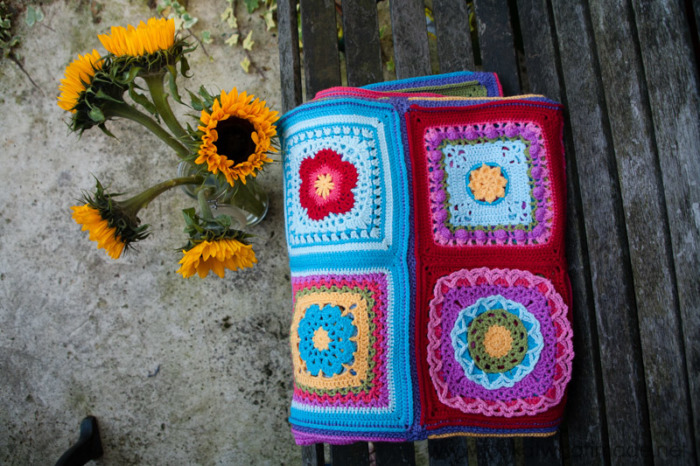 Isn’t the Crocodile Flower Square (pictured above) gorgeous? 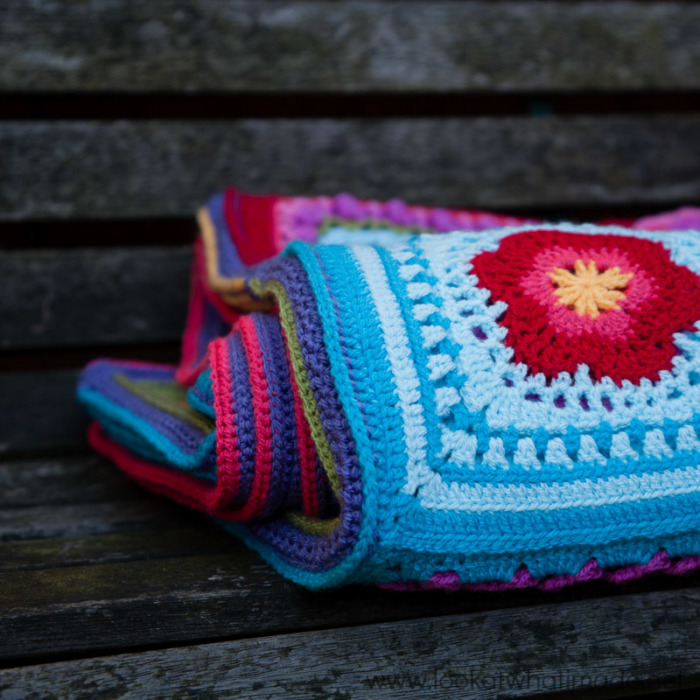 If you like it as much as I do, do yourself a favour and have a look at Courtney Laube’s Enchanted Garden Bag, which features the Crocodile Flower. 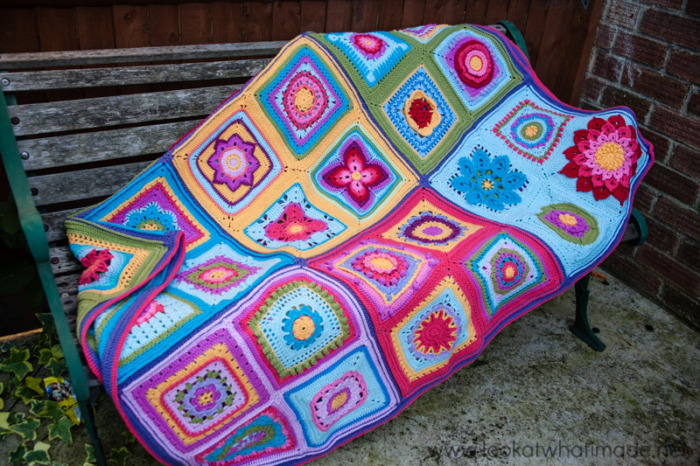 When it came to taking photos of the whole blanket, I had to do it outside. 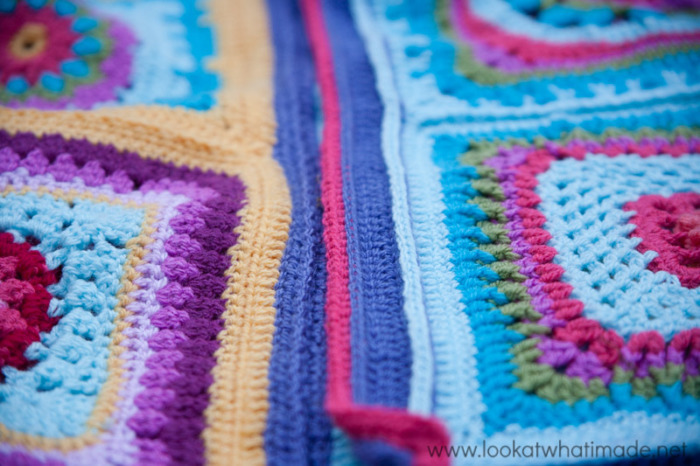 Even then I had trouble finding somewhere large enough to display the whole blanket. Here you can see one half of the blanket. This is the other half. And here she is all laid out on the back lawn. I love my blanket. It is a reminder of a wonderful year and many new friends. 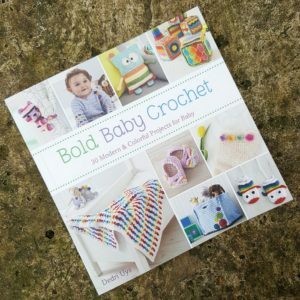 And because Xander was so interested in the making of this blanket – always wanting to touch the squares, always posing for photos – this blanket will always remind me of his cheeky toddler face. I can’t believe he is starting nursery already. Now I don’t have any more tiny models, only quickly-growing boys. 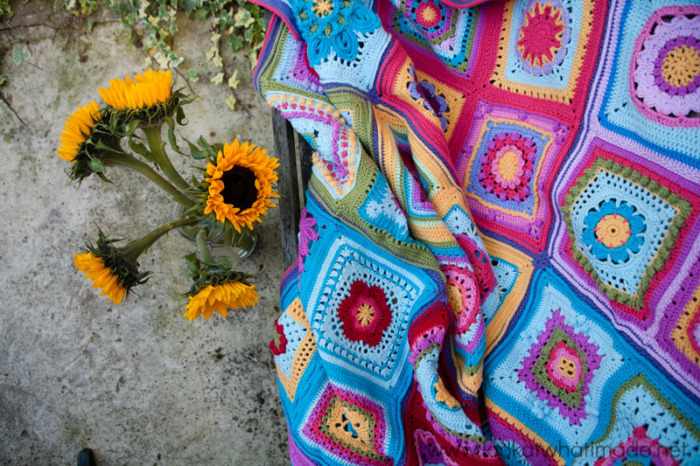 I hope this explosion of crochet colour has cheered you up today, and if you would like to make this blanket, you can still find all the details and links HERE. Hi Dedri, thank you for sharing this amazing blanket pattern, and also thank you for the quality of your informations (great job!!). 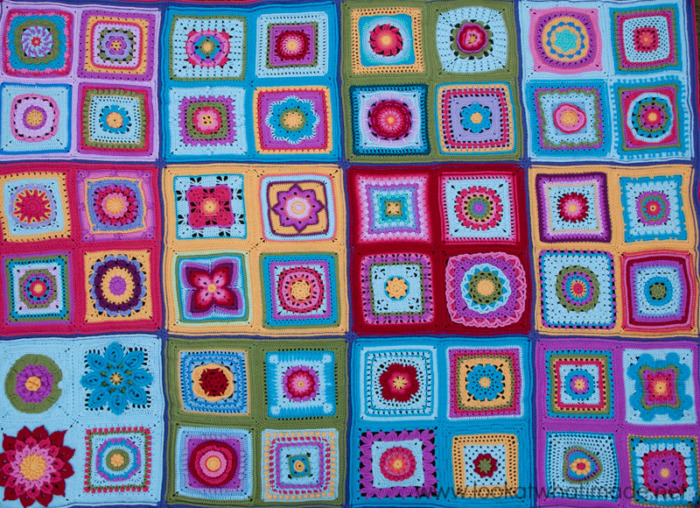 I’m starting just today to crochet the first square of “Block A Week 2014”. 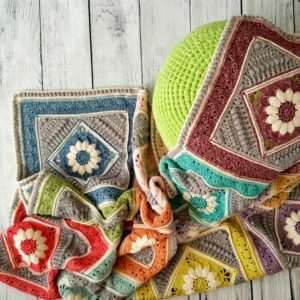 Even if I really like the colors and the emotions that they give all togheter, I’m a shabby chic lover and I would like to use the blanket in my house as a picture on the wall. So to follow my passion for White I decided to crochet the blanket in grey and White. Do you think the pattern texture’s will be appreciated even if there are only two colors? I really need an advice before to start such a big work!! Manuela, hi :) Thank you so much for your tactful and lovely comment. You will lose none of the texture if you used only 2 colours (you could even use one if you preferred). 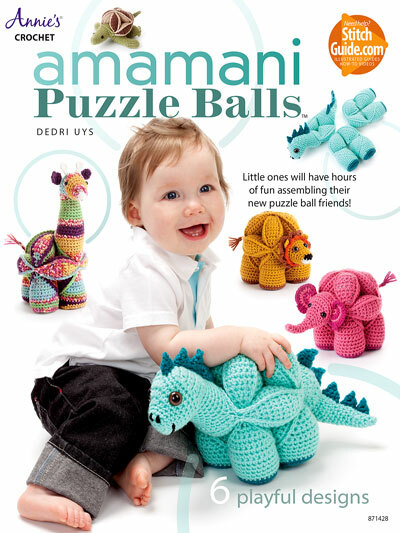 Each square is beautiful and textured in its own right, and the designers are just amazing. 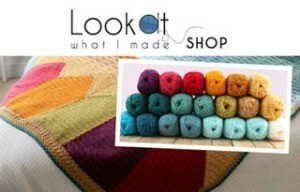 I would love to see how your shabby chic blanket turns out. Please do share a photo on social media, remembering to tag me so that I can see it! I love your work, its inspiring and beautiful. 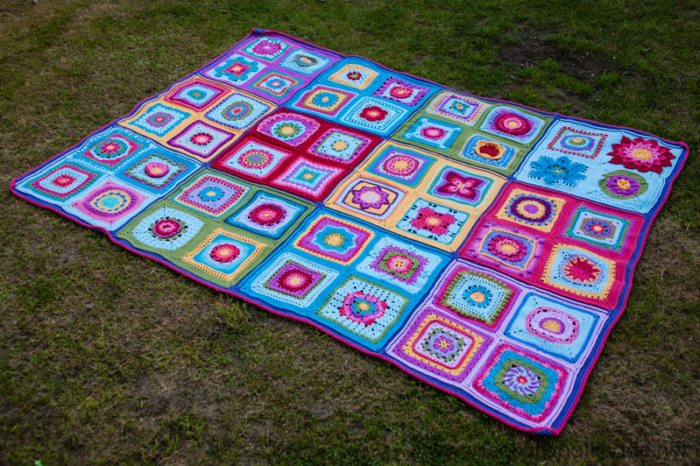 Please can I ask you the final size of your blanket and the size of your individual squares? My squares measure about 7 inches with DK yarn an 4 mm hook. Dedri, dis pragtig! Ek moet myne ook nog aanmekaarslaan, maar ek beplan om vir my twee klein nonnas elkeen een te gee so ek sal nog ‘n paar ekstra blokke moet hekel. 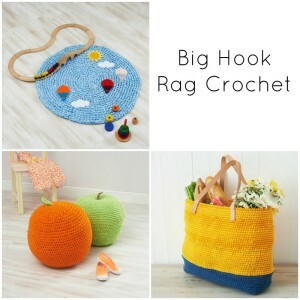 Having not crocheted for a few years, your blog has absolutely inspired me. I love this new one and the colours are just what my soul needs. 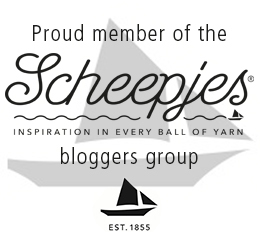 Thank you, thank you for sharing! Judy, I think I will be taking a break for 2015. But who knows what awaits in 2016? Amazing! Not able to describe in words! Great design! Great Colors! Maybe mine will be a Little bit like yours ;-). 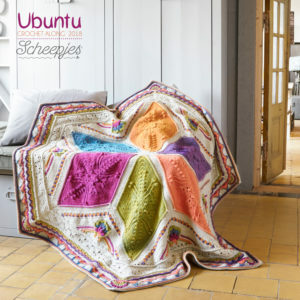 Gorgeous blanket! Love the colours! I’m adding this one to my to do list. Muchas gracias por ser tan generosa y brillante, thank you so much, Dedri, My English is not good, but I can say to you that your passion of crochet and your work is fantastic and inspire for many of us. I was very sad in the morning, but now I feel better looking what you made. 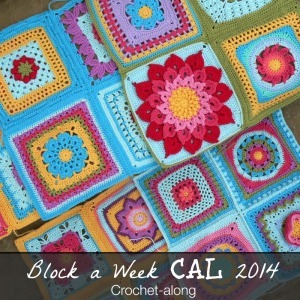 I have to try to do your Block a Week CAL 2014. Sure!!. Kisses. Magnificent!!! … that is the word that immediately comes to mind! Wow.